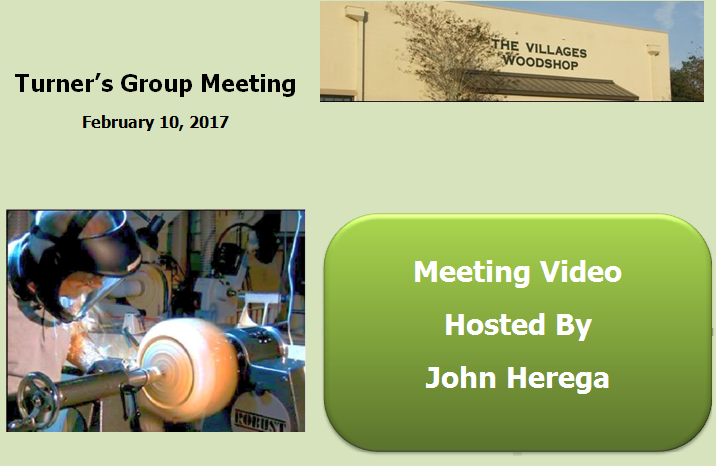 Video of the proceedings of the Turners Group Meeting held on February 8, 2017, including presentation of members projects and auction of turning blanks. John Herega demonstrates techniques in turning a finial. Part III of Three Parts.